Yikes! 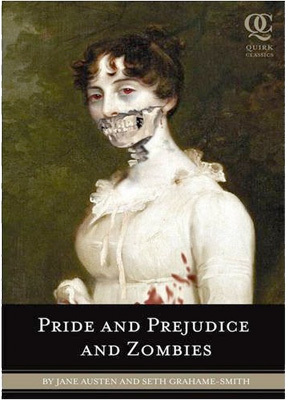 As a confirmed Pride and Prejudice addict - I am not sure whether to be profoundly disturbed or totally enthralled by the concept of this book. You will have to let me know if I should read it. I always thought there was something not quite right about Lady Catherine and Mr. Collins. I just finished reading 'The English American' which I picked up from the library because of your recommendation. I also recently read 'The Guernsey Literary and Potato Peel Pie Society.' I loved them both. Tonight I am going to settle into 'Pippi Longstocking'...the version illustrated by Lauren Child. Totally looking forward to it. i've heard so much buzz about this book! i'd love to get your impression, worth reading? My SIL is reading this and she said its hysterical.